Obake no Q-taro loves to fly around, scare people and steal their food! Now you can can eat Obake no Q-taro candy, control him with a remote or listen to his record! 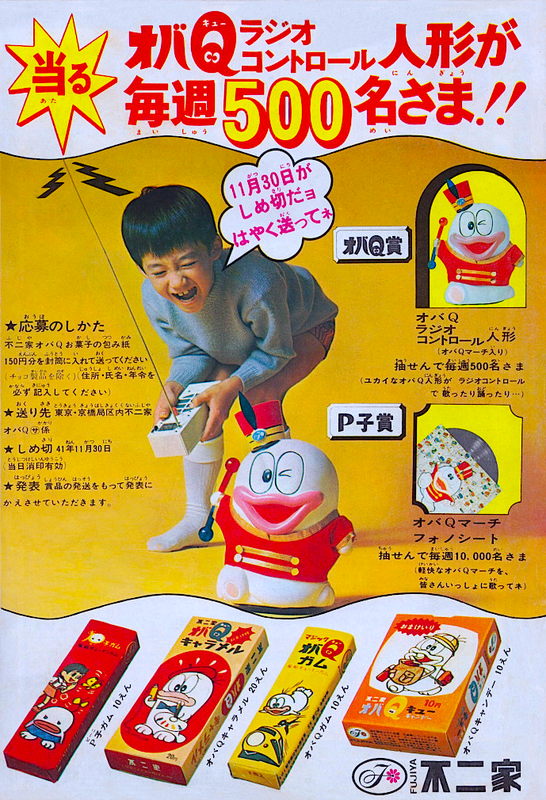 Japanese Fujiya Sweets ad from 1966 featuring the mischievous manga character Obake no Q-taro.